For all of our Chocolate Lovers! 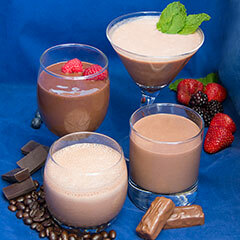 Enjoy a variety box of delicious puddings and shakes created just for you. Box includes: Chocolate, Dark Chocolate, Chocolate Mint, and Mocha Shakes/Puddings.